Wondering what the benefits of buying a car online are? At Clawson Honda of Fresno, our experienced Honda sales professionals understand the many advantages of shopping for cars online. In fact, we’ve designed a new online feature that’s dedicated to changing the way you buy a new or used car — We call it iClawson, the future of car buying. To use this innovative yet easy-to-use feature, visit our website, search our inventory, select the car you desire and get financing options designed just for you. Our Honda dealer in Fresno, CA, will even deliver this new or used car to you. Shop for a Honda online at Clawson Honda of Fresno! Why Buy Honda Online near Madera, CA? iClawson isn’t just an idea, it’s a new way of buying a car online. View our inventory of new Honda cars, trucks and SUVs, or browse our selection of Certified Pre-Owned Honda models. Here’s a tip for buying a car online with Clawson Honda of Fresno: Look at our new Honda lease and finance specials that are designed to make online car buying that much more affordable. What does internet price mean when buying a car? With iClawson, our transparent pricing never leaves that question up in the air. Don’t know if you want to lease a new Honda Accord or finance a new Honda CR-V? iClawson will let you explore those options and assist you in picking the best one. With iClawson, our online car-buying experts can teach you how to buy a car online and have it delivered right to your house. That’s right, your new or used Honda can be scheduled online to be delivered right to your doorstep. It’s all part of the promise we make to customers at Clawson Honda of Fresno. You deserve to enjoy all the benefits of buying a car online, and we designed iClawson to do just that. Have any questions about iClawson? Still wondering how buying a car online can benefit you? Our team of experienced online car-buying associates are always at the ready to assist you. And better yet, we’re just a click or call away. 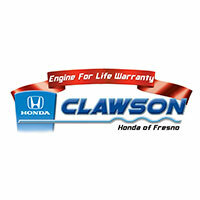 Buy a car online with confidence with Clawson Honda of Fresno today!